English lessons at Faith centre around a quality text. Children have the opportunity to read a different book each half term and use this as a stimulus for the rest of their English sessions. Children will have the opportunity to read to an adult in school as often as possible. 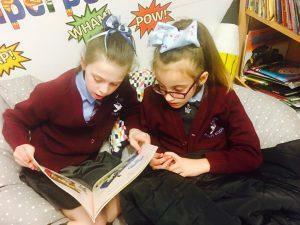 We use a tiered approach which enables the children who are still on the early stages of reading development more supported 1:1 time and those children who are becoming more fluent reader slightly less time. 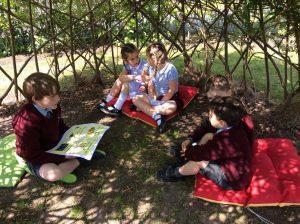 Whenever a child reads with an adult in school, it is recorded in our class reading files. There are a number of adults the children will read with, these may include: the class teacher, teaching assistant, the Reading Recovery teacher and volunteers. In order to make the most of these opportunities, we encourage parents and careers to ensure book bags are returned to school every day. Staff will ensure that books are changed regularly. In addition to their English lessons, children have weekly focused Guided Reading sessions. During these sessions, a small group of between 4 and 6 children examine and explore challenging texts and develop their reading skills further. 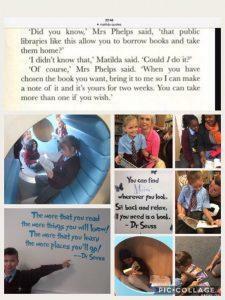 Every child and adult in Faith Primary School has their own library card that can be used to check out books from our school library. Teachers continually monitor and assess children’s progress against the standards set out in the National Curriculum. These judgements are reported to senior leadership each half term. Governors receive a report about the standards across the school. To support these teacher assessments, children take a formal reading comprehension tests each half term. These tests are produced by NFER and offer an indication of how a child is likely to perform in the end of Key Stage SAT tests. At Faith, we also use PM Benchmarking as an assessment tool. 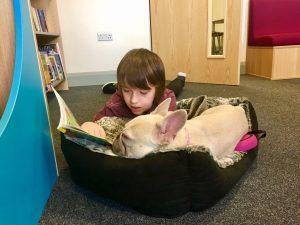 This allows us to ensure that children are provided with the appropriate reading material for their stage of reading and helps us to identify specific strengths and weaknesses so that we can provide the best support possible.